Not long ago, we posted the news that the Path of Destruction Tour would be hitting the road early in 2018! 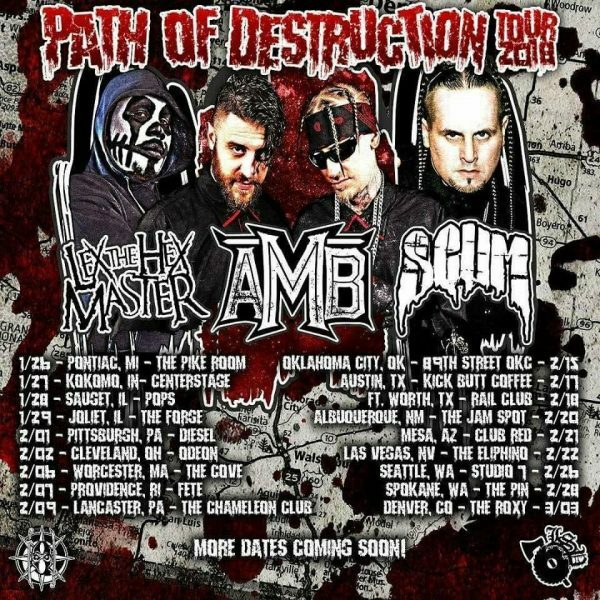 The tour features Lex the Hex Master, Axe Murder Boyz, and SCUM with full performances, and of course your favorite local supporting acts! The tour starts up on January 26th in Pontiac, MI and as of right now ends on March 3rd in Denver, CO! Keep your eyes on LexTheHexMaster.com and all of the artist websites for up-to-date shows!